(Jackson & Perkins) - An exceptional Hybrid Tea with excellent flower form, strong vigour and healthy foliage. 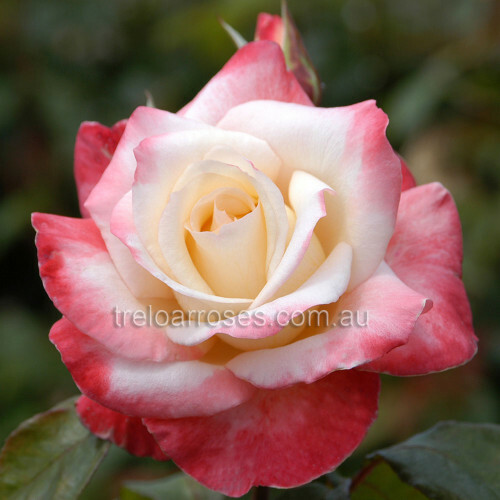 The twin colouring of lovely coral-cream shading intensifies as the prolific blooms mature. Tall growing bush with dark green, semi-glossy foliage. This trouble free rose is recommended even for beginners. 1.5m tall.